The ICTA Women's Pro Tennis Team consists of world class junior and WTA pro tennis players training. 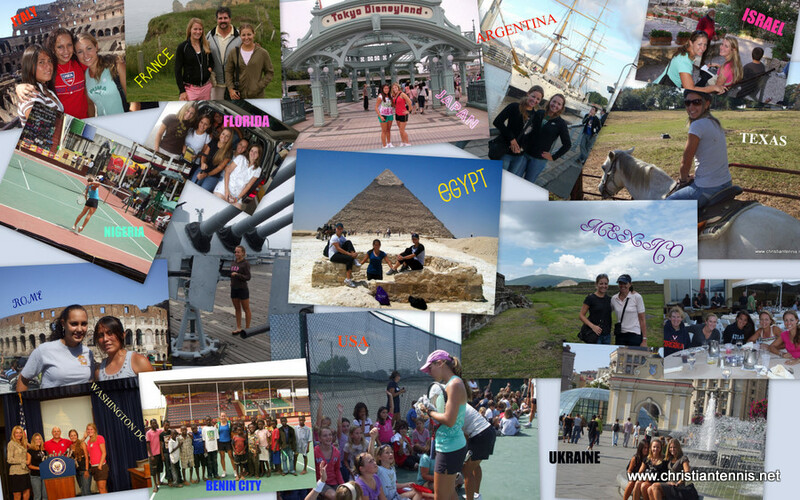 traveling, and competing together on the ITF pro circuits globally! 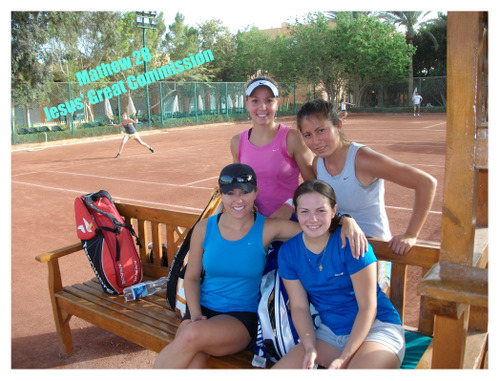 This is the world's only full time Christian mission pro tennis team competing on the ITF & WTA pro circuits with the sole purpose of sharing the Gospel of Jesus Christ. The ICTA Women's Pro Tennis Team trains for tennis and missions in Jacksonville and Palm Coast, Florida 8-10 weeks per year... and on-site at tournaments worldwide up to 25 weeks yearly. Each team member prepares to support each other, build relationships with players on the pro tour, and reach out to others in need. Organizing and planning their mission trips under the direct supervision of ICTA Founder, Scott Paschal, Pro Team members learn how to successfully create effective, global outreaches that impact the players, coaches, tournament directors, officials, host homes, and local fans which support the International Tennis Federation pro circuits. 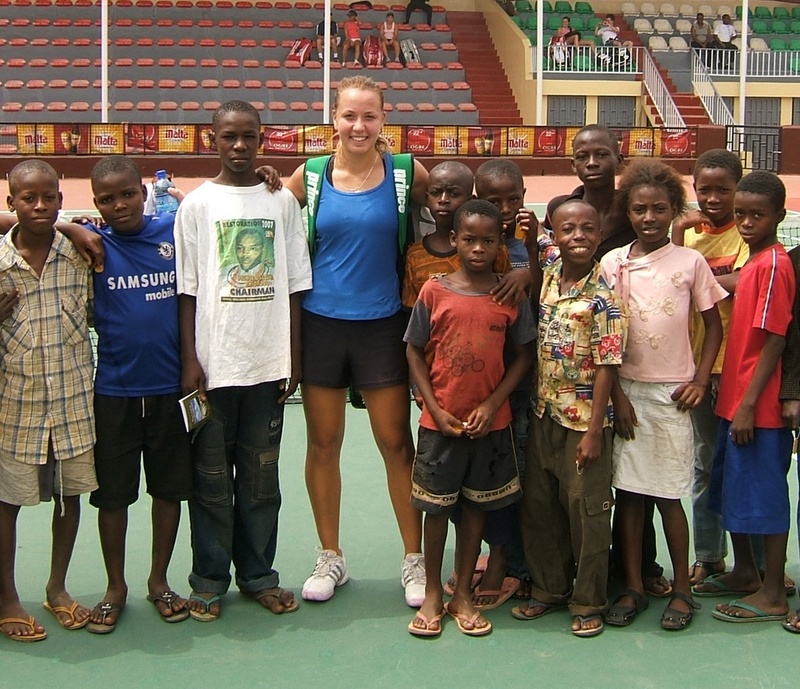 The team has impacted 20% of the top 100 WTA ranked players, and countless future tennis stars. One player directly impacted by the team's atmosphere went on to reach top 40 WTA. Another is in top 20 WTA. One is top 15 WTA. Please check the box which applies to you. What is you level of play? Would you like information on a 75% discount for team members at our tennis academy in Florida? This team is for women only. Please completely fill our form. Call 386 793 0557 to make sure your form has been received. 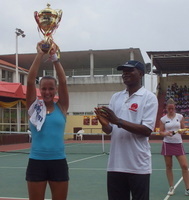 Ultimate Impact Tennis Academy student since 2006, Anastasia Kharchenko from Ukraine, wins two back to back ITF $10,000 Pro Tournaments in Africa during ICTA Women's Pro Team mission trip! Anastasia, formerly #1 G18 Ukraine & #5 G16 Europe, has recently gained her highest pro ranking, WTA #598! She became a Christian while attending UITA. Anastasia has a heart to reach the world with the Gospel of Jesus Christ.